Blockchain-backed data platform, Streamr, joins previous winners Porsche and Daimler in receiving Plug and Play Global Innovation Award for Partnership with Hewlett Packard Enterprise. 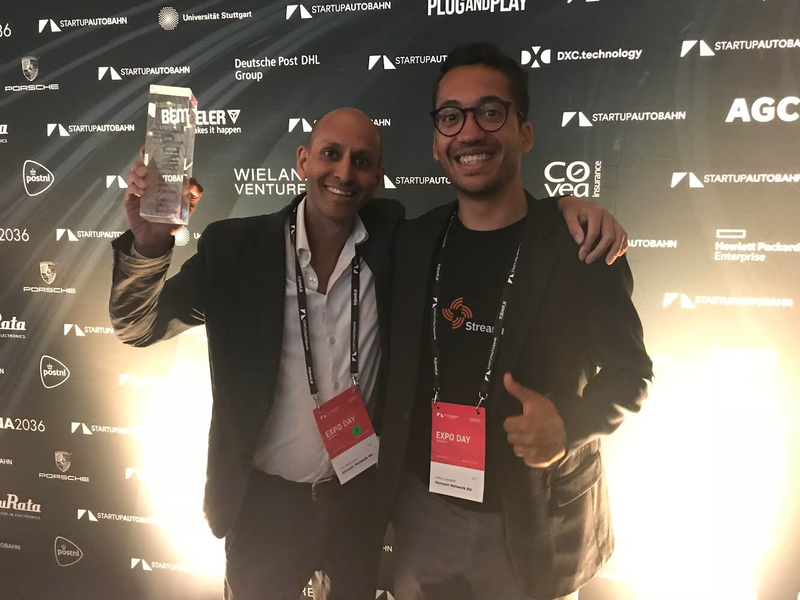 Streamr, the blockchain-backed data platform, last night won the Plug and Play Global Innovation Award for Exceptional Performance from Europe’s largest innovation platform Startup Autobahn, for their pilot project with Hewlett Packard Enterprise (HPE), established to drive data monetisation. 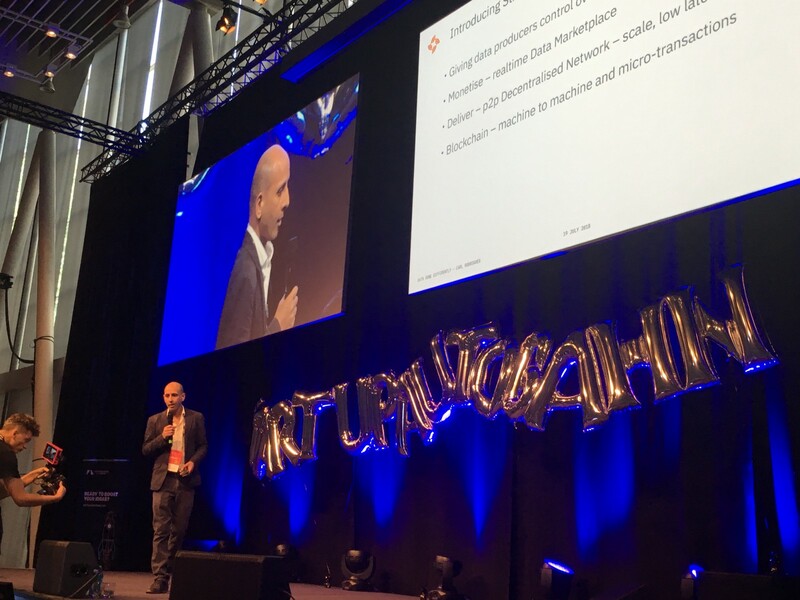 Out of hundreds of talented startups from across Europe, Streamr came out on top for its innovative work with HPE at the Startup Autobahn EXPO Day awards ceremony in Stuttgart. Startup Autobahn, is powered by Plug and Play, and aims to unite global startups with the tech expertise of Silicon Valley and the best of German engineering. Europe’s biggest innovation platform, showcased over 30 technology startups in its fourth round across AI, blockchain, big data and industry 4.0 to a wide range of attendees including investors, corporate executives, universities, media, and government representatives. The award recognized Streamr’s partnership with HPE, one of the world’s leading technology solutions and innovation companies that saw realtime vehicle data integrated to the Streamr Marketplace. HPE collected information in realtime from the communications “bus” in the car, where hundreds of data points arrived from sensors within the car. That data, from fuel consumption and location, to acceleration and gearing was then sent straight to the Streamr platform. In today’s ambitious race to innovate, it’s humbling and empowering to have the great work and success the team has achieved, in collaboration with HPE, formally recognised on such an influential stage. We are honoured to have won this award on our pursuit of innovative and effective real-time data utilisation and having this industry support really reinforces our mission and makes us very excited about what we can continue to achieve in the future. 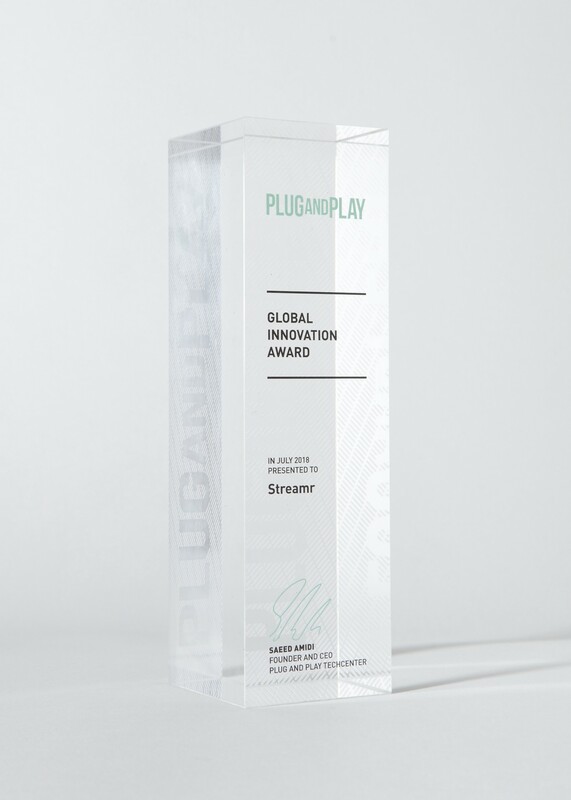 Previous winners of the prestigious Plug and Play Global Innovation Award include Porsche, an automobile manufacturer specializing in high-performance sports cars, SUVs and sedans; Daimler, a German multinational automotive corporation, and startup what3words, a geocoding system for the communication of locations with a resolution of three metres. Carl Rodrigues and Didier Goepfert from Streamr’s Partnerships team holding the aloft the trophy! Continuing to strive for further development of smart, data driven transport and smart cities through blockchain technology, Streamr is also joining MOBI, the Mobility Open Blockchain Initiative ecosystem alongside four of the world’s largest automakers; BMW, Ford, General Motors, and Renault. MOBI helps develop standards and brings together strands from the variety of pioneering technologies and disciplines to improve safety and efficiency across mobility and local and national infrastructures. “Receiving this prestigious award, linked with our recent acceptance into MOBI will hopefully serve to amplify our far-reaching vision. The technology we’ve been pioneering with HPE allows us to create a customer first data ecosystem for millions of drivers so we’re very excited about joining a forum with automotive giants such as BMW, Porsche, and General Motors where we think we will really be able to offer something unique and push that vision forward together, ” concluded Pihkala. Carl Rodrigues on stage showing off what Streamr can do. Edit: An earlier version of this release contained a quote from Saeed Amidi which was later amended.